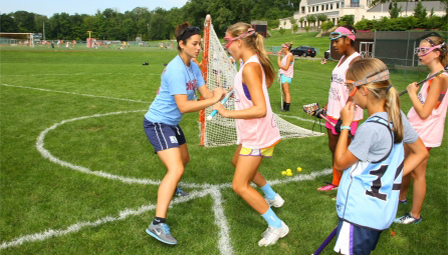 Michele DeJuliis has contributed extensively to the sport of lacrosse for the past 25 years. She has contributed at the grass root level as a club director, at the collegiate level as a student-athlete and coach, and most recently at the World Cup level, where she served as a player, captain, and coach. For her contribution to the sport, Michele was inducted into the US National Lacrosse Hall of Fame in 2013. 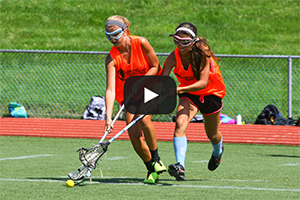 Michele is the founder of Ultimate Lacrosse, established in January of 2001. 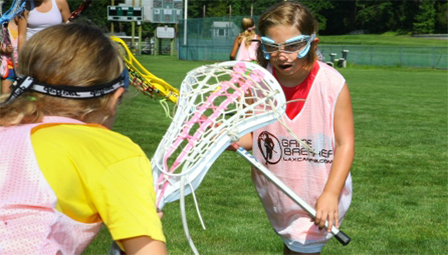 Based in Philadelphia & New Jersey, Ultimate is dedicated to growing the sport, by increasing the skill development, competitiveness, and overall lacrosse IQ of the young women who play it. 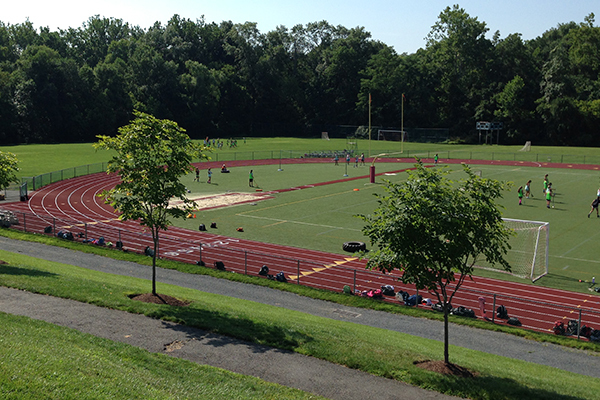 Specifically, Ultimate creates and supports teams and clinics ranging from fifth through eleventh grade. 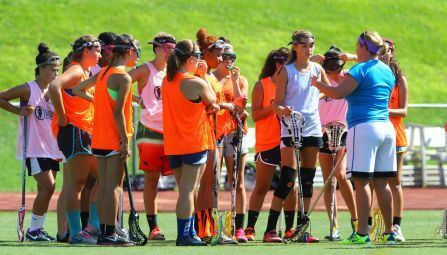 In her tenure as President of Ultimate, Michele has helped developed thousands of lacrosse players and placed several hundred in the college game. A long standing member of Team USA, DeJuliis captained the 2009 U.S. Women's World Cup team that won the 2009 FIL World Cup in Prague. A member of U.S. National Team program since 1994, Michele retired from her playing career after winning the gold. She joined Team USA as an assistant coach and was part of the 2013 Gold Medal winning World Cup team. 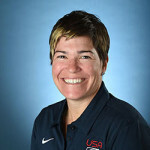 In 2014, DeJuliis was named as an assistant coach for the 2015 U-19 Women's World Cup that played in the FIL World Championships in Edinburgh, Scotland in the summer of 2015. 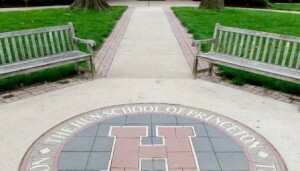 As a collegiate coach, Michele spent eight seasons as an assistant coach with the Princeton University women's lacrosse program (2004-2012), where she served as the offensive coordinator. 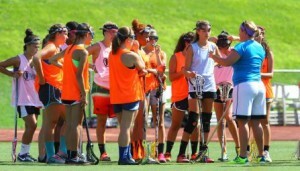 During her tenure at Princeton, DeJuliis was recognized as the IWLCA Assistant Coach of the Year in 2011. DeJuliis played collegiately at Penn State University and was a four-time All-American. She finished her career eighth on the school's all-time scoring list with 142 goals and sixth with 203 points. She led the Nittany Lions to three NCAA tournament appearances with a semifinal trip in the 1995 NCAA Tournament. DeJuliis served as an assistant coach at her alma mater in 1998 while completing her degree in Kinesiology. A native of Baltimore, DeJuliis was inducted into the Greater Baltimore Chapter of the US Lacrosse Hall of Fame in 2008. She also served as the chair of the IWLCA's Recruiting Education Committee, IWLCA Tournament Committee and as a member of the Mid-Atlantic All-Region Committee. Marisa DeAngelis became Holy Family's sixth women's lacrosse head coach in program history on June 15, 2017. DeAngelis came to Holy Family after spending the past two seasons at Delaware Valley where she served as assistant coach. While a member of the Aggies’ staff, DeAngelis was the head recruiting coordinator and also prepared and implemented practice plans. DeAngelis was a four-year defensive starter for Kean University and served as team captain during her senior season in 2015. She earned first-team all-conference honors from both the New Jersey Athletic Conference and Skyline Conference her freshman season. DeAngelis was also a three-time selection to the Intercollegiate Women’s Lacrosse Coaching Association’s (IWLCA) Academic Honor team. DeAngelis is also the head coach for various teams with Ultimate Lacrosse in New Jersey and has filled that role since 2013. She graduated from Kean in 2015 with a Bachelor of Arts Degree in Psychology. 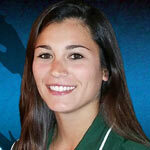 DeAngelis is currently pursuing her MBA in General Business at Delaware Valley and is scheduled to graduate this summer. We were blown away with the amount our daughter took away from what the coaches taught her. She has been improving her game ever since she returned home from camp. The Hun School camp was excellent. My daughter came to camp with a few of her teammates and they had a blast. Hope to bring along of few more girls next summer. 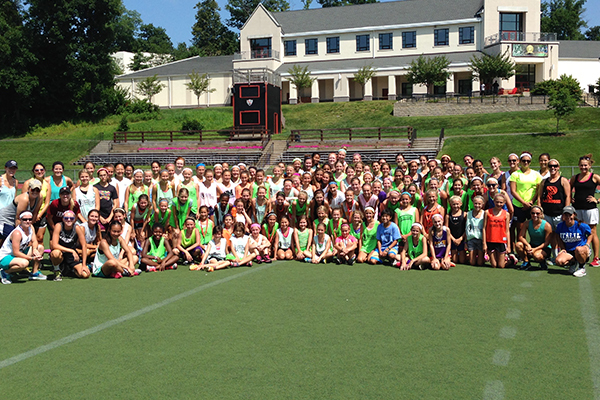 GameBreaker definitely knows how to run an excellent lacrosse camp. They did not just roll a ball out and let the kids play. Throughout the entire time the coaches were engaging with the players, instructing all different aspects of the game. My daughter has become a much more well-rounded player after attending this camp. 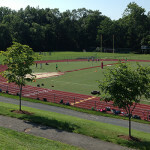 This is a great example of what a camp should be. 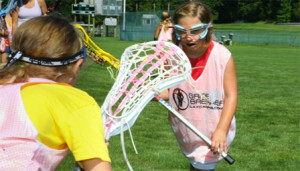 My daughter not only learned better lacrosse skills from great coaches but also said she had such fun. She is already talking about coming back next year. Good job GameBreaker.